February is a busy time. It’s full of grant deadlines and collection deadlines. And the flu. February is also filled with the flu. So I’ve been quiet here, but wanted to pop in to post the bag I made for Indianapolis International Film Festival’s silent auction and Oscar viewing party this Sunday, February 24th at Ralston’s DraftHouse. Indy Film Fest brings so much to the city. They are young, hip, accessible and, most importantly, know good film. For this reason I’m always happy to help them out, whether doing some in-kind grant writing, guest blogging for the Festival or sewing up something special for them in the hopes someone (anyone) will bid on it. The people who run this great Fest are some of the most dedicated I know, building something that adds to arts and culture in Indianapolis in such a tremendous way and doing it all without pay. 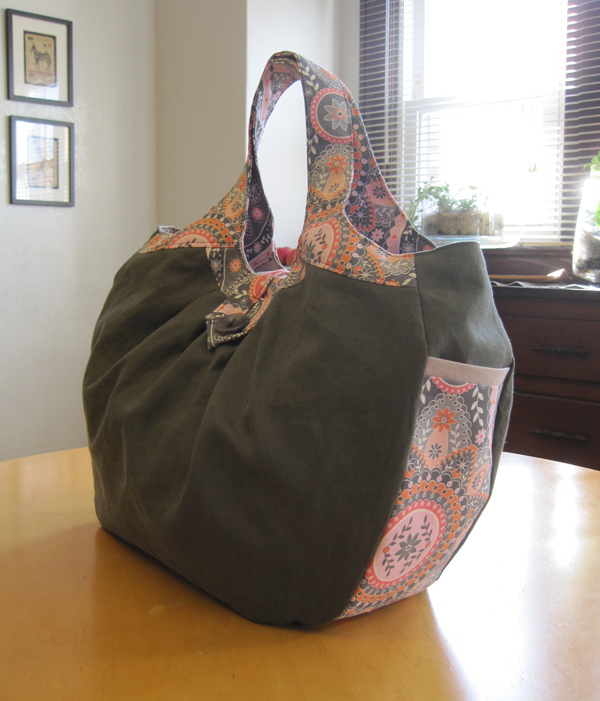 This giant hobo uses Amy Butler’s Cosmo Bag pattern from her book Style Stitches. 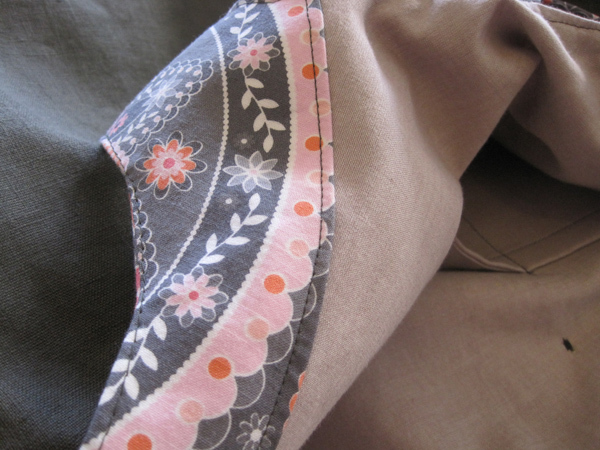 I’ve mentioned before how Amy Butler patterns make me want to scream, yet I make them anyway. It seemed like a better option than me making up a pattern and failing miserably. It all came together fairly well and has some sweet little details that hopefully will make someone happy. The bag has two exterior side pockets that have a nice contrast band at the top. The interior is made with reinforced shot cotton, a cloth that uses differently dyed strands for the warp and the weft, which creates a nice depth and mirrors the exterior linen nicely. It also has a roomy interior pocket. 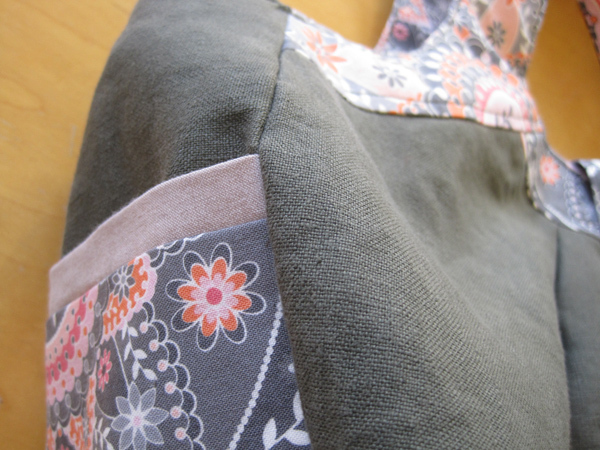 And it fastens with a button closure. It’s sweet, simple and will carry more stuff than one should reasonably carry with her. But big bags are in, right?